The beauty of Wonder is that we embrace and welcome a variety of yoga and movement styles. Although there is a commonality in our teaching, each class style focuses on different outcomes, postures and themes based upon the teacher. Wonder can be what you make it– we’ve created a beautiful contemporary studio with and complimentary mats, blocks, bolsters and straps to make every visit as comfortable and easy as possible. Using world class fresh air systems and state of the art German technology to heat our studios we know you are going to fall in love with the feeling of Wonder. Wonder101 is perfect for those who are new to yoga or for those who want to break down the practice to understand key foundation and alignment points. Practised at 27°C room using Far Infrared (FIR) heat, the room is a comfortable temperature supporting this introductory sequence. 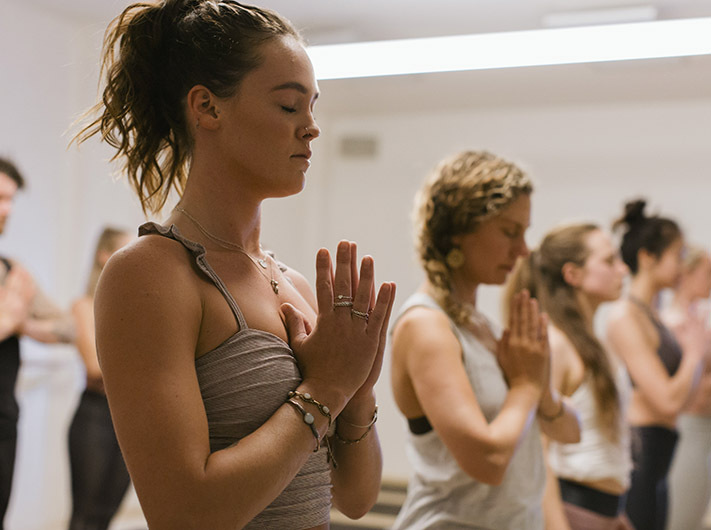 Wonder101, is a well-balanced class, uses the same sequence every time and is designed to help build confidence in the yoga studio whilst taking you on a journey to calm and release. 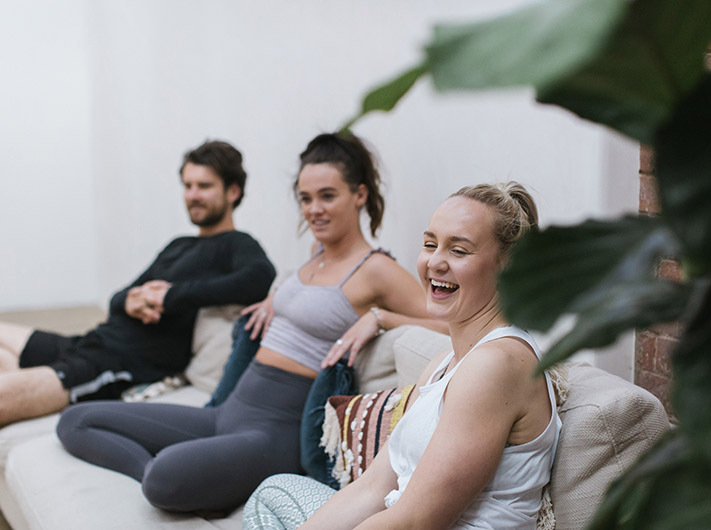 Our WonderFlow is a contemporary vinyasa class using intelligent sequencing that marries breath and movement opening not just your body but also your mind. Practised at 32°C the temperature allows you to discover the balance between strength and flexibility and improves your physical and mental wellbeing. The movement of the vinyasa style draws you to stillness and complete ease by the end of the class. Building on the WonderFlow I experience, our level II class is a dynamic moving flow that enables you to expand your practise and delve deeper into self-awareness, the different physical aspects of yoga and at the same time also work towards gaining mastery of breath control or pranayama. Offering a guided path to a peak posture or experience that will challenge and enlighten – by the end of class you are left with a true sense of wonder and wellbeing. 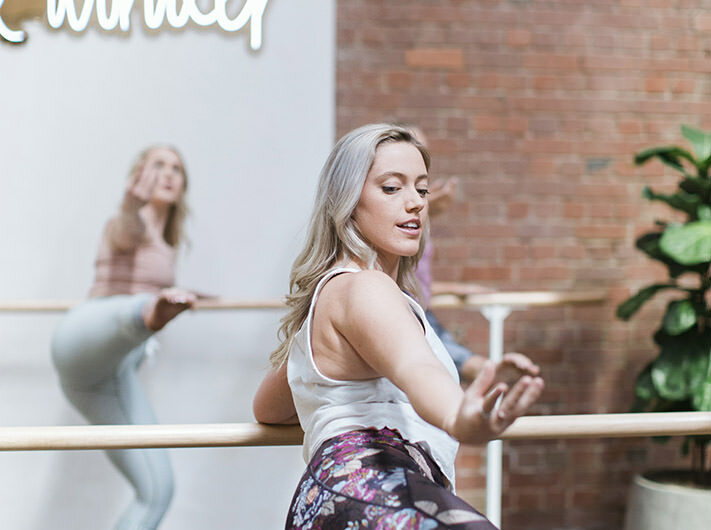 Designed to reshape and sculpt your body, WonderBarre is a ballet-inspired class in a gently heated room that fuses yoga, ballet conditioning exercise, mat work and interval training for men and women guaranteed to give you that total body workout. Wonderbarre takes it to the next level leaving you feeling agile, longer and leaners with wondrous results you’ll love. Absolutely no dance experience, ballet slippers or tutu required. A dynamic class that fuses together the best parts of Yoga and Pilates. 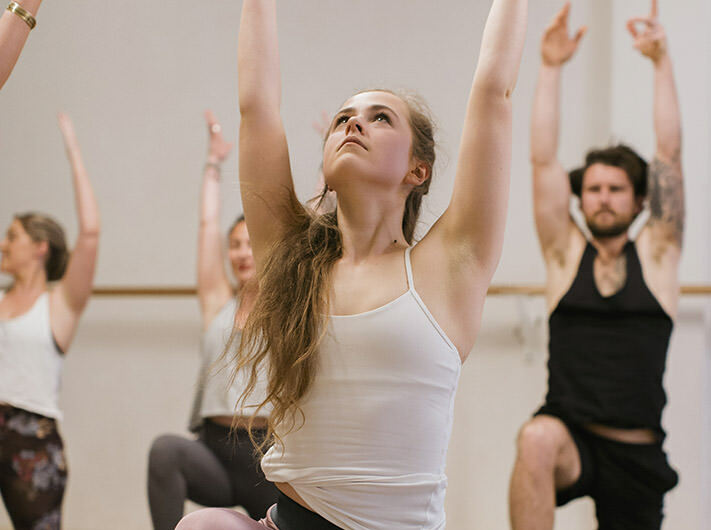 Our CrossFlow classes are practised at 32°C Using optional weights you’ll move through strengthening and calming yoga poses while building stability and core control through Pilates based movements. Guaranteed to connect mind and body you’ll finish class feeling completely alive. Wonder Warrior is a challenging, sweaty class where we turn up the heat to help the body release toxins, build strength and develop focus. Slow and steady in pace, this 60 minute, 35°C class will work your entire body and leave you feeling amazing. Students are welcome to lie down and rest at any point during the class. The perfect class for creating a balanced practice, this class takes place in an ambient temperature of 25°C and involves mostly supported seated postures that facilitate deep release through postures held for between 3 to 5 minutes. Yin Yoga is suitable for all levels, a must if you are a regular cyclist, runner, cross-fitter or athlete and will challenge you in a different way to our more active classes as flexibility increases and energy flow improves. Our purpose at Wonder is to cultivate and build community. To support this we offer special edition workshops and immersive experiences that build upon our classes and provide students with an opportunity to delve deeper into an element of yoga or wellness that supports the discovery and nurturing of wonder within us all. Each experience will vary depending on the facilitator but guarantees to expand your practice both on and off the mat. Are your yoga classes for beginners? We have specifically created our Wonder101 class for members of our community who are reintroducing themselves to movement or who want to take some additional time to understand the foundations of a yoga class. Generally speaking though, all of our classes are open to beginners and our teachers will support you to feel as comfortable and at ease as is possible. We also encourage all of our students to listen to their bodies and sit down and rest or modify wherever it feel appropriate. YES! We are not doctors or sports scientists but have seen many transformations of students who have incorporated Yoga, Pilates and Barre into their lives. There is ever-growing research from all fields within the health, medicine and wellness industries that provides conclusive evidence for both Yoga and Pilates and their benefits on recovery and prevention from injury and illness and their ability to improve many benchmarks of health including blood pressure, mobility, stability, sleep and happiness. The majority of our classes, including WonderWarrior and CrossFlow are heated to 32°C. This temperature is sustainable for most people to exercise in for an hour. Our hottest class, WonderWarrior is heated to 35°C while Wonder101 and Wonderbarre are heated at 27°C. Yin classes are generally not heated but will have residual heat of around 25°C. due to previous classes being held. Do you do yoga therapy? The range of yoga styles and lineages is huge, it seems that every week there is a new class style on offer somewhere– the word yoga is such a broad term that it can be used to describe a movement class that enhances the performance of elite athletes through to therapists providing rehabilitation for serious injuries. At Wonder our focus on those who are in general good health so our group classes are not always suitable for those with injury. If you have an injury or illness please advise your teacher prior to class and we can help address your needs. We can always support your practice with a private class to address your individual needs. To do so, please contact us at [email protected] to arrange this. Is there a wonder yoga teacher training?